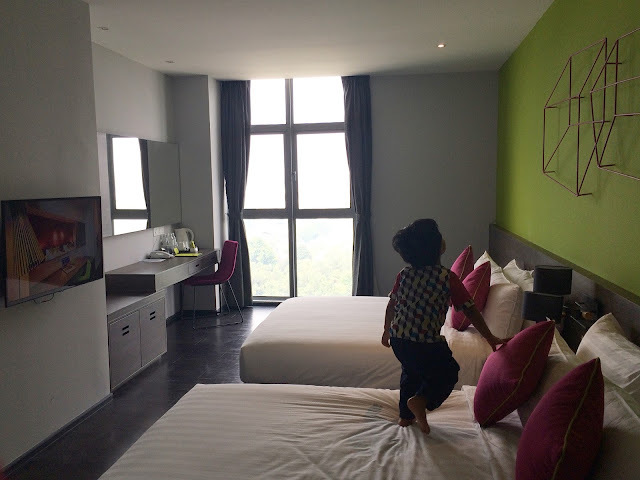 So we stayed at KIP hotel Kuala Lumpur. 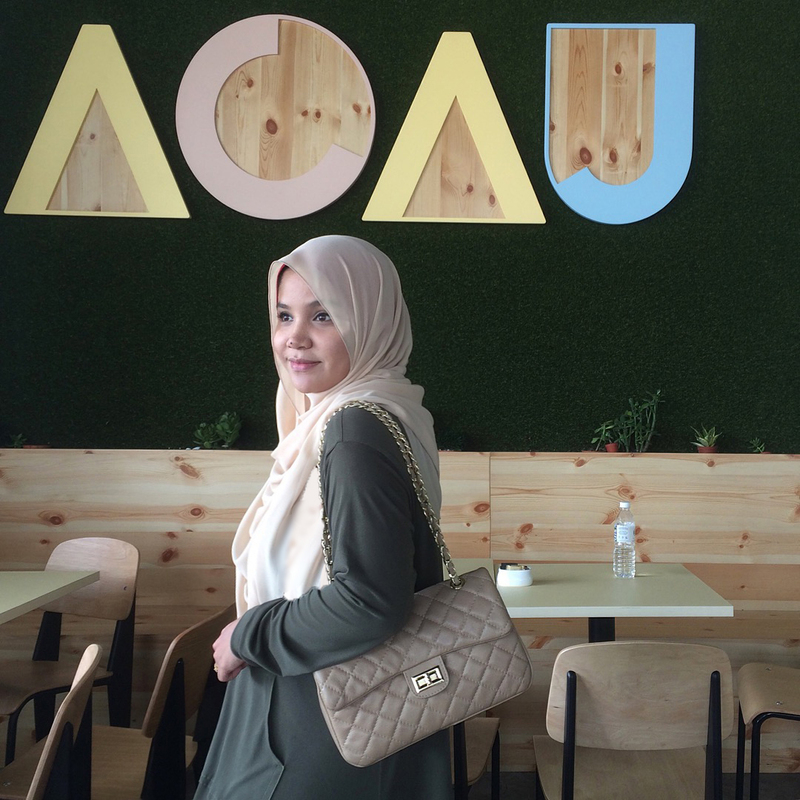 It's this new hip and modern hotel located in the heart of Sri Utara, Kuala Lumpur. If you're not familiar with the area, nearest landmark would be Batu Caves. We arrived at about almost 12 noon. Easy parking space so we parked right in front of the hotel's main entrance. Upon entering, I couldn't help but notice the beautiful timber finish textures in the lobby. We were greeted by the warm friendly staff at the reception and had lunch before going up to our suite! The beautiful timber panel details in the lobby. Hubby tried the Nasik Lemak special and I went with Char Kuey Tiaw. Both dishes were delicious! The waiters were very attentive and friendly. High chair for babies also provided. We took the lift up to the 12th floor to get to our room. It would be almost impossible to ignore the bold interior details along the way up. Every detail was designed to suit it's purpose and added that extra touch to the hotel design. The bathroom was super spacious, which included two art basins, shower booth, one toilet and of course complete with toiletries as well as a hairdryer. We didn't really feel like going out so we called room service. Hubby ordered Salmon Ala Crust and I ordered good 'ol fish and chips. The portion was reasonable and both dishes were good! After having breakfast the next morning, we walked around the hotel with the kids. On the sixth floor there is a lounge area called @atSix. It's a laid-back lounge area with colourful bean bags and blocks to play with/relax and have a chat. The kids had fun moving the blocks and jumping from one bean bag to the other(me and hubby got carried away too! ;P) You can simply head down to the infinity swimming pool just a floor below via the staircase on the right side of the lounge area. The infinity pool was really tempting but the kids weren't in the best of health to jump in so we decided to just enjoy the view instead. Will definitely dive in the next time we stay there! We had a splendid time at Kip hotel. Thank you for the hospitality and great service! Till then, xoxo!